Tired of collecting paper receipts for tolls and then having to locate them to painfully reconstruct trips for expense reports or tax purposes? How about having to manually add toll costs onto ride share or taxi service fees? 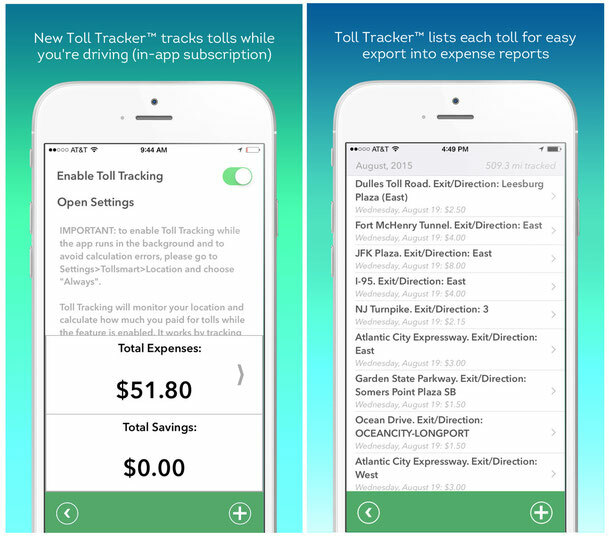 Well struggle no more as relief has arrived with Toll Tracker™, the new toll tracking service from Tollsmart that makes tracking toll expenses blissfully simple. Toll Tracker™ works in the background, tracking tolls in real time as you drive through them so there's no need to take your eyes of the road. Once you've completed your trip you'll see the total costs of tolls as well as have an itemized list of each toll along with their related cost that you can easily export to a CSV file and email. Find out more about our exciting new service in our blog post.